A rear end collision can occur at stoplights, stop signs, intersections, turn lanes and other places on the road where cars are following each other closely. Rear end collisions can also occur at much higher speeds on the freeways and highways of Northern California. In whatever type of rear end collision you were injured in, The Law Offices of Suizi Lin can protect your rights and seek fair compensation for your losses. If you or a loved one was injured in a rear end car accident, call The Law Offices of Suizi Lin at (510) 689-1988 and arrange your free initial consultation. 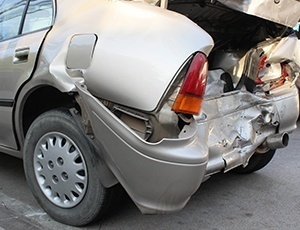 We have significant experience handling many types of car accident claims, including rear end collisions, single vehicle accidents and accidents caused by defective products. If you have been injured in a rear end car or truck accident, you can feel confident choosing our team of successful attorneys. Whiplash injuries are the most common types of injuries sustained by victims of rear end accidents. A whiplash injury is a type of neck and spinal cord injury that can result in persistent pain to the neck, back and shoulders, along with headaches and "pins and needles" feelings or numbness. If you have sustained a whiplash injury, our firm can advocate for fair compensation on your behalf. Our attorneys seek compensation for medical bills, lost wages, injuries and other losses. Were you injured by an uninsured motorist? While it is required in California for drivers to carry automobile insurance, many do not. Just as many carry insufficient insurance that does not cover serious injuries. If you were injured in a rear end crash caused by an uninsured or underinsured driver, our firm can help. Were you injured in a rear end collision? Talk to one of the experienced lawyers at The Law Offices of Suizi Lin. We can be reached at (510) 689-1988. Or, you can contact us online to schedule your free initial consultation.